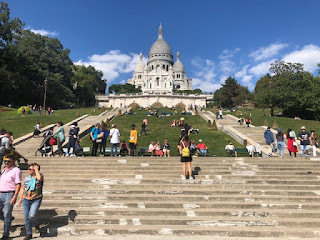 After our amazing lunch at La Condesa we toured around that area and then up to Montmarte, a large hill in the 18th Arrondisment known for the beautiful Basilica of Sacre-Couer and some of the most charming streets in all of Paris. 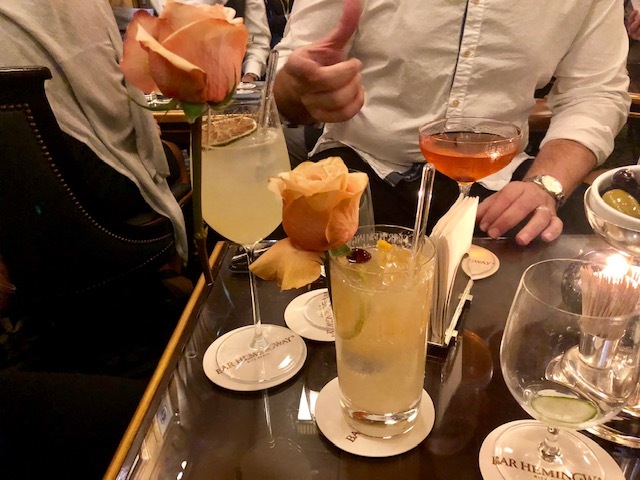 The weather was absolutely perfect so we spent the day walking around and enjoying the sunshine until it was time to meet up with friends at Bar Hemingway in the Ritz Carlton Hotel. This famous bar where Cole Porter, F. Scott Fitzgerald and Hemingway spent much of their free time was almost exactly as I imagined it; small but elegant with leather cushioned seats, tiered silver platters on each table and a list of classic Hemingway cocktails including the Picasso Martini, Serendipity and French 75. 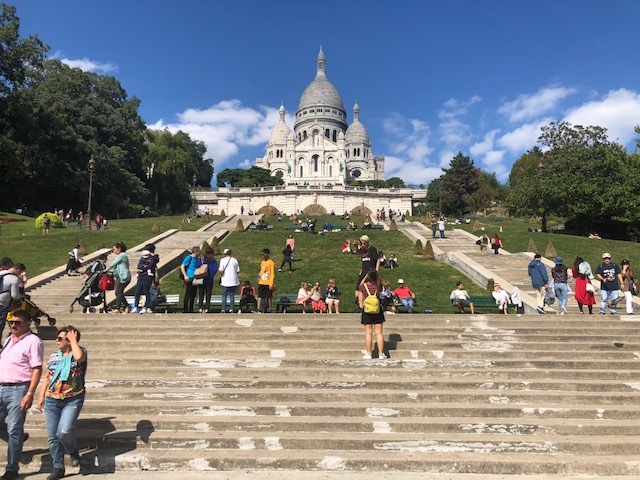 After Hemingway Bar we parted ways with our friends and finally did what Mr T had wanted to do the entire trip, eat some delicious Duck Confit. 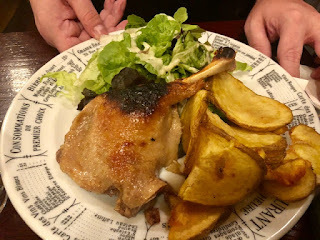 We found ourselves at Bistrot Victoires, a bustling brasserie with an amazing Duck Confit that was perfectly charred on the outside with a rich tender interior. 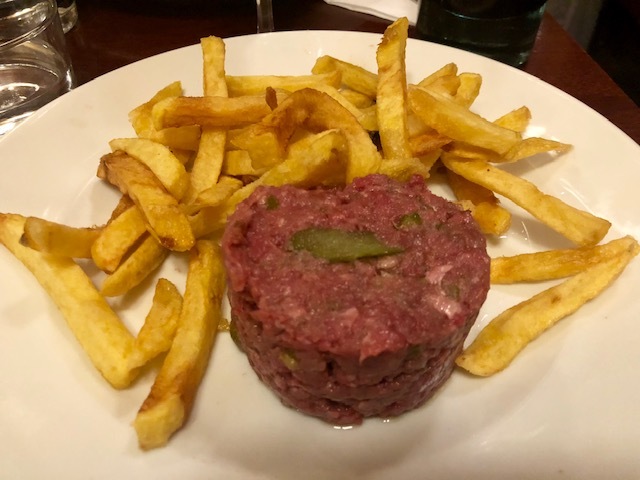 While Mr. T munched away on his duck I happily dug into my Beef Tartare which was prepared exactly as I like it, with capers, shallots, cornichons and just a hint of mustard. This serving was absolutely huge and for 11€ an absolute bargain. In fact our entire meal including a carafe of wine came to just about 50€. 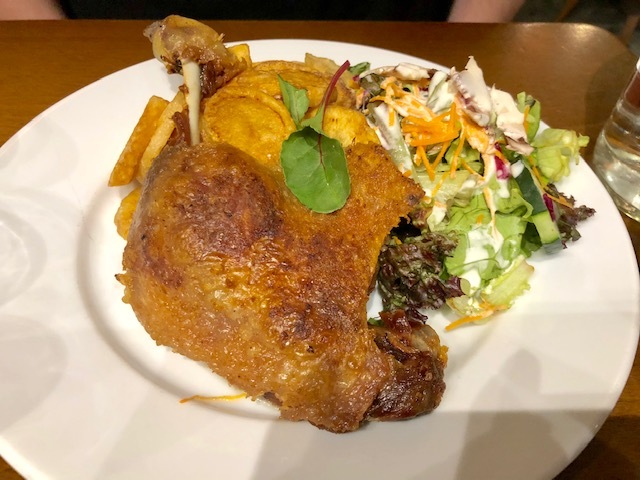 Mr. T was so happy with his dish he suggested we spend the rest of the evening on a Duck Confit "crawl" and since it was our last night who was I too argue? So we headed to another bistro Au Petit Fer A Cheval in Marais. This Duck Confit actually looked more delicious than the one at Victoires but sadly it was overcooked with a slightly burnt exterior and dry middle. 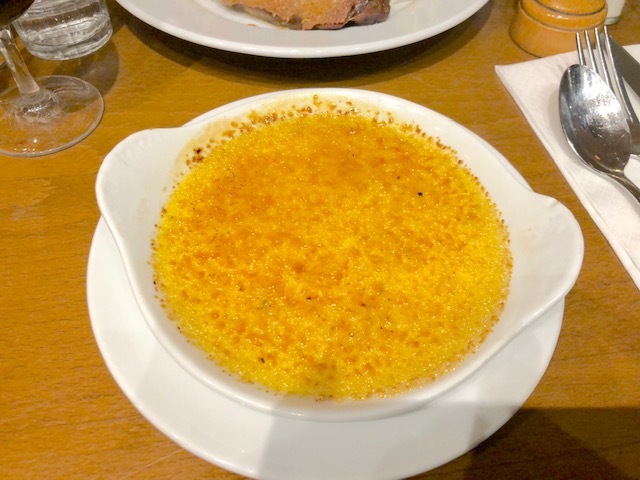 I was still full from my Beef Tartare (and having two tartare's in one day seems like a bad idea) so I ordered a Creme Brulee for dessert instead. This was about four times the size of normal Creme Brulee and after Mr. T and I got about halfway through it was evident the duck confit "crawl' would end right there. We were beyond full; so we headed back to our place for one last night of wine on the roof.